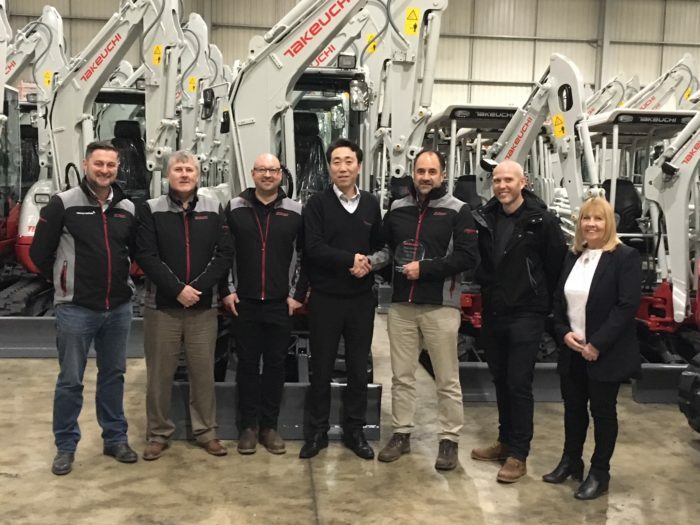 Parkway Plant Sales Ltd receive award for Takeuchi Dealer of the Year 2018, 3rd in a row!!! 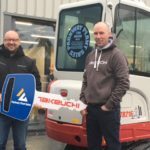 Parkway Plant Sales Ltd take Takeuchi Delaer of the Year 2017, ‘Construction Plant News’ pick up the story in their February 2018 issue. 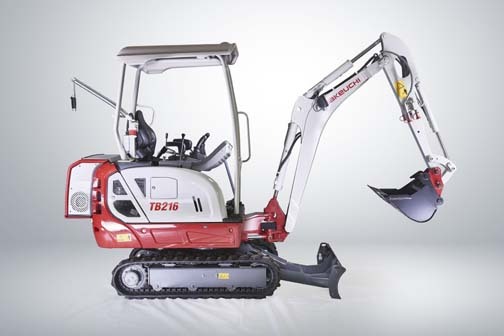 Takeuchi have now launched a conventional boom version of their 15-tonne Excavator, the TB2150R, in a recent article in ‘Earthmovers’ magazine, March 2018 issue, the product is reviewed favourably. 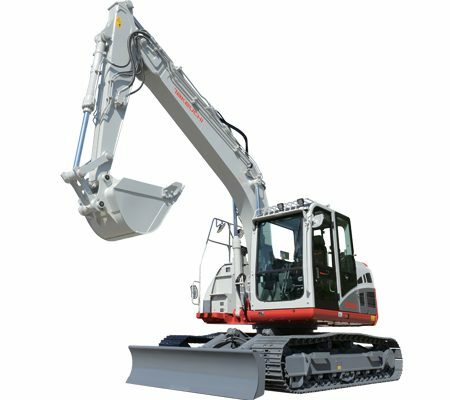 Parkway Plant Sales Ltd have already sold 4 units in January 2018, and with fantastic reviews alongside limited numbers hitting the UK this year we anticipate the TB2150R will be oversubscribed. 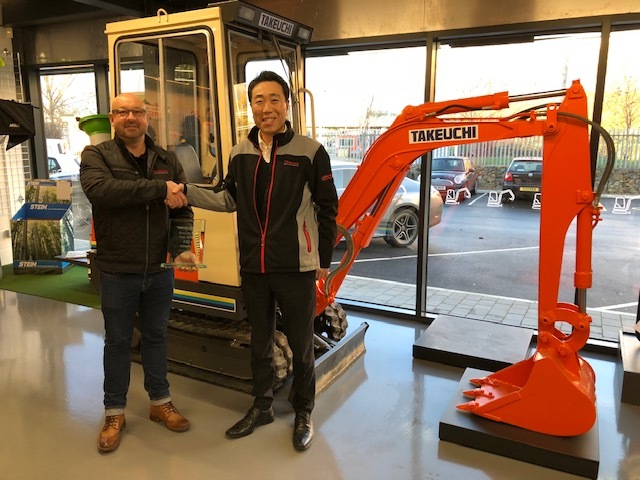 Parkway Plant Sales Ltd are awarded ‘Takeuchi Dealer of the Year 2017’ for the second year running. UK Takeuchi MD hands over award to Parkway Team!! 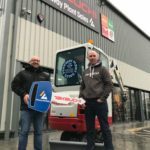 Hardwick Plant Ltd from Barnsley has taken delivery of the 275th Takeuchi that Parkway Plant Sales have sold during 2017. Photo taken at Parkways new HQ in Stockport, the Takeuchi TB216 sports a special livery to celebrate the milestone. Colin Bent from Parkway hands over the BIG KEY to MD Scott Hardwick. 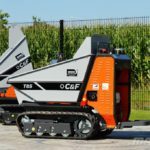 A new product to Parkway was launched in late 2017 promoting the Hydrostatic C&F Traker T85 High Tip 800kg Tracked Mini Dumper. 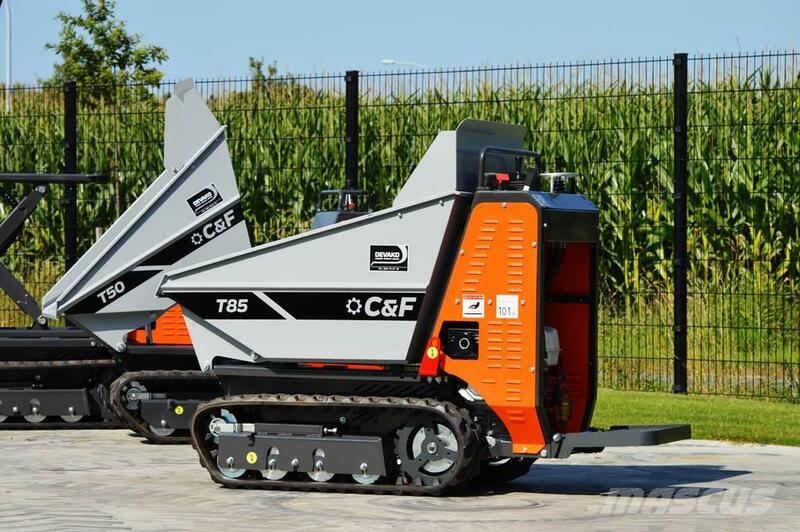 Designed to be long-lasting machines, C&F mini dumpers stand out for technical solutions and design features generally adopted on bigger and expensive machines. 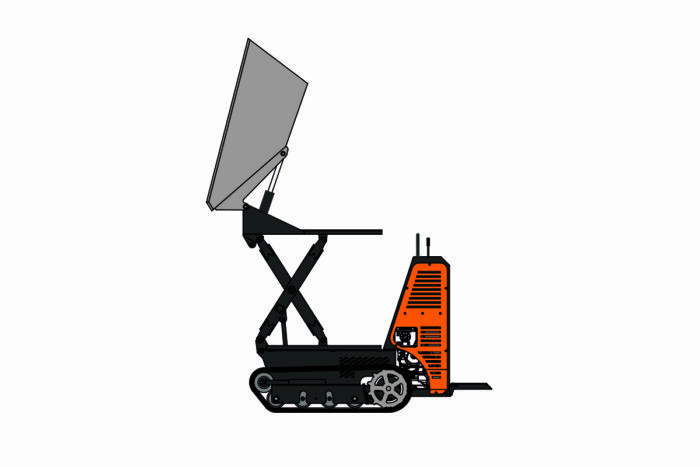 ‘Traker’ is the ideal solution to move and to handle any type of material, especially on construction sites and locations with narrow or difficult access. 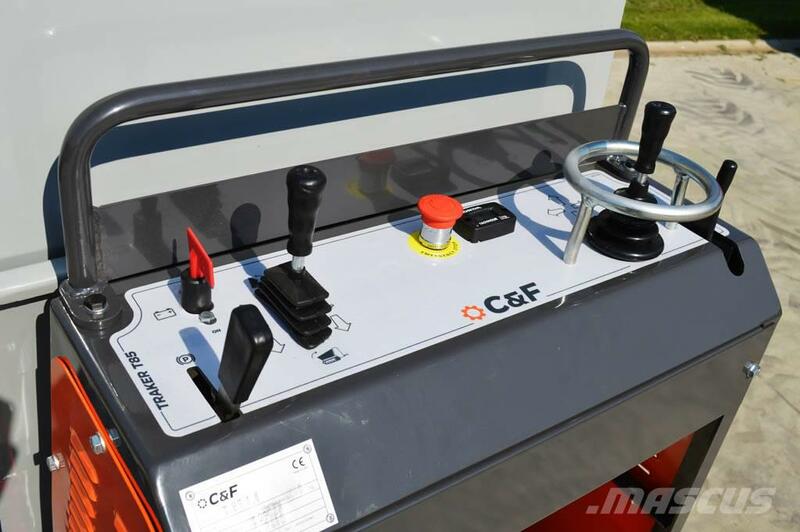 T85 Mini dumpers are equipped with one single joystick that controls both rotational and transational movements. 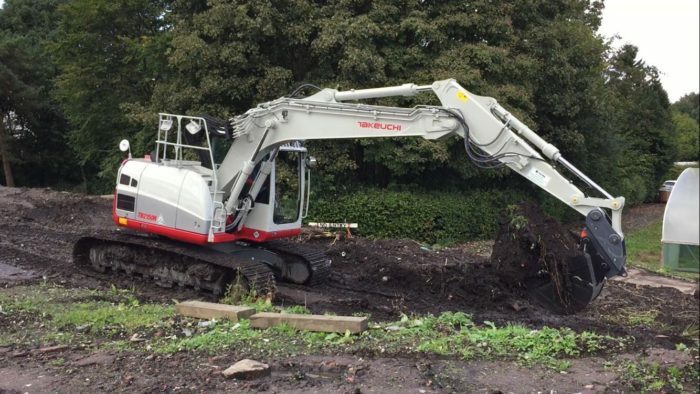 Takeuchi TB2150 Excavator sold at demo ground!! 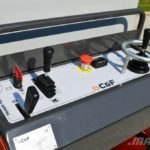 The original diesel engine remains intact so this hybrid can still be used in a conventional way, simply switch to diesel when in travel mode. 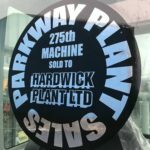 Parkway Plant Sales Ltd will once again be pounding the streets of Liverpool. 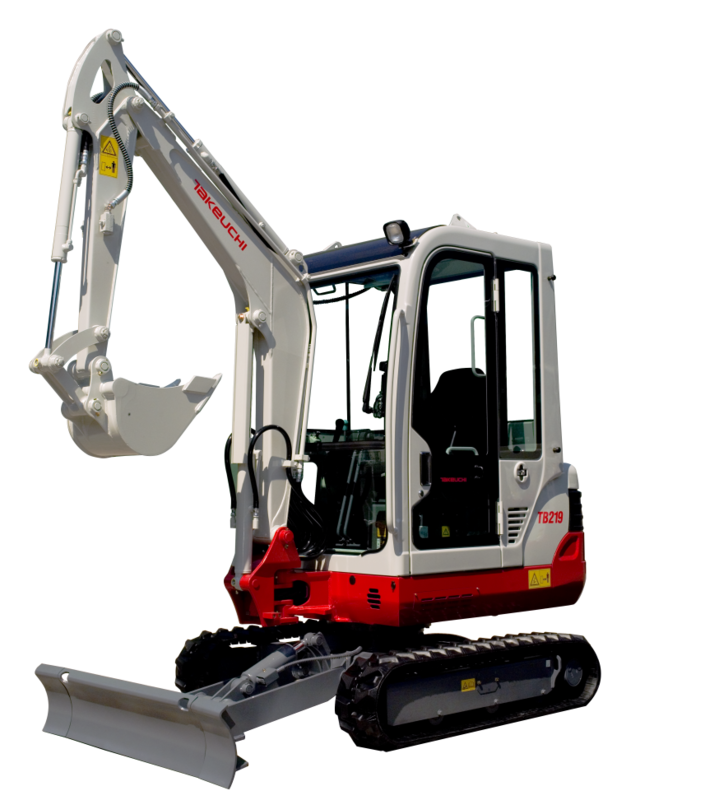 We will be marketing and selling the full range of Takeuchi Excavators along with IHIMER Tracked Dumpers. 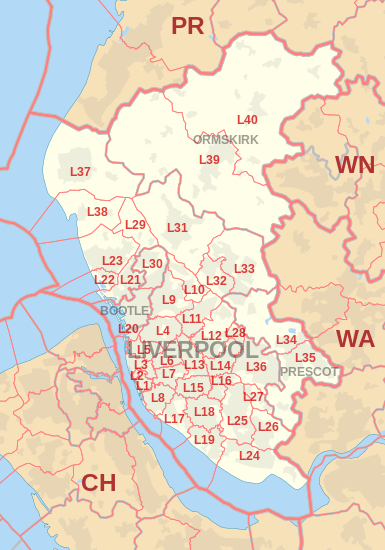 We will be supporting this territory from our Lowton depot just off the A580 East Lancs Road, close to the M6 interchange.